Thousands of migrants from Central America who've made the long trek north from their home countries are now stuck on the Mexico side of the border waiting to file asylum claims, per the agreement the U.S. struck with Mexico this week. 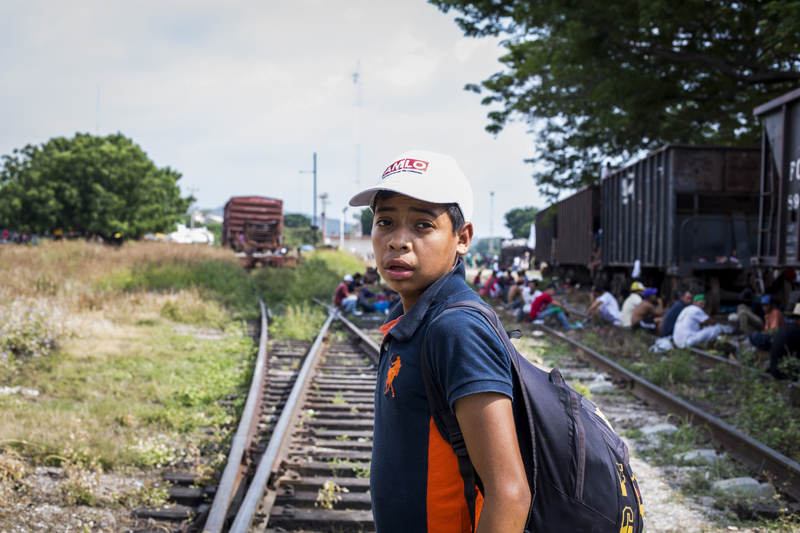 They've been coming in waves of caravans, fleeing persecution, violence, and poverty, spurred on by social media and local news stories of the swelling masses of people packing up what they could carry and heading north. They endure harsh conditions along the way, and they may not know about the latest changes in immigration rules, but they still want to come. 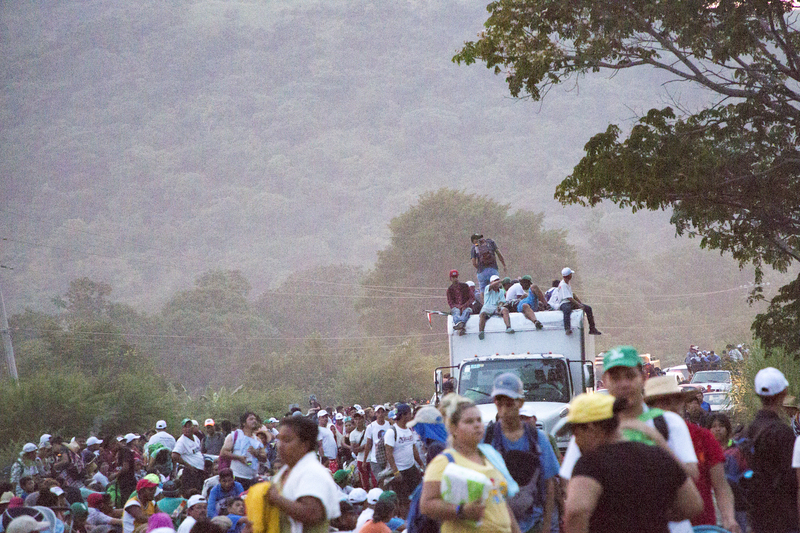 The ranks of the caravans this fall eventually ballooned to more than 7,000 with groups fleeing El Salvador, Guatemala, and Nicaragua joining the march. VICE News traveled with the caravan through Mexico for more than 2,200 miles from southern state of Chiapas to the border in Tijuana. Mario was one of scores of teenagers traveling alone that we met on the road. And like almost everyone else around him, he dreams of a life in the United States that’ll allow him to provide for his loved ones. Like many of the young people around him, his perception of the United States’ immigration system had been shaped by social media, movies and television news stories of varying accuracy. The caravan covered about 20 miles per day, walking anywhere from 6 to 12 hours. Many of them would get rides from good Samaritans or hop on cheap buses, while others piled into truck beds and trailers. 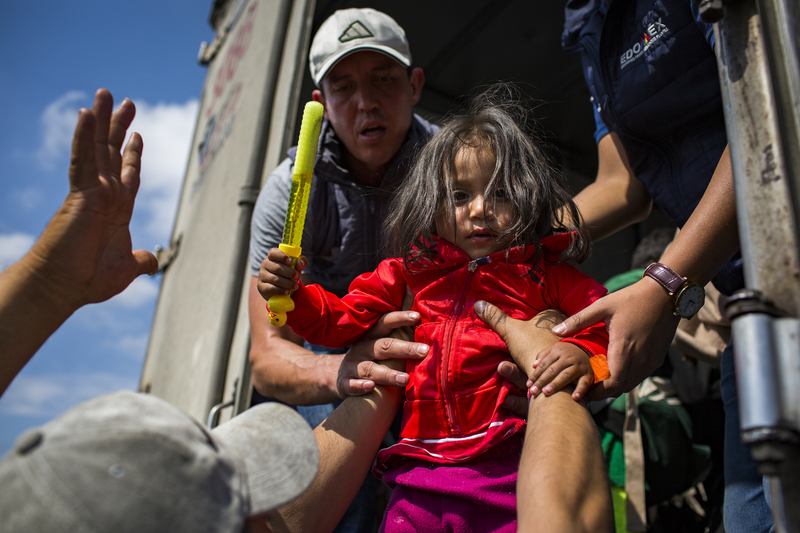 Regardless, almost every day started around 3 a.m. Men, women and children crammed their belongings into backpacks or heaped them onto strollers to walk as far as they could toward the next shelter or town before sunrise. Temperatures in Mexico’s southern region linger in the 90s this time of year, as do consistently oppressive levels of humidity. The caravan relied on the help of locals as it made its way north. Church and aid groups appeared with pots of tamales, rice and beans, spaghetti and soup. Water, often in small plastic bags, was handed it out to anyone who needed it. Town and state leaders organized shelters and medical tents at each of the caravan’s pit stops. It’s the only way many in the caravan survived a journey that spanned three countries and close to 3,000 miles. Most of the people here were unaware of the threats of arrest and deportation made by President Trump and other US officials, and even fewer knew that their journey had been used as a political cudgel by conservative forces in the run up to our midterm elections. Everyone we met on the road joined the caravan out of desperation, and believed that any consequences they’d face for attempting to cross the border into the United States paled in comparison to what they could face back home. The caravan was an opportunity to travel to the U.S. without the need for the thousands of dollars it would cost to hire a human smuggler, and without the threat of kidnapping and extortion looming large. It was a chance to escape. “It’s easier to leave as a group because we watch each other's backs,” she said. 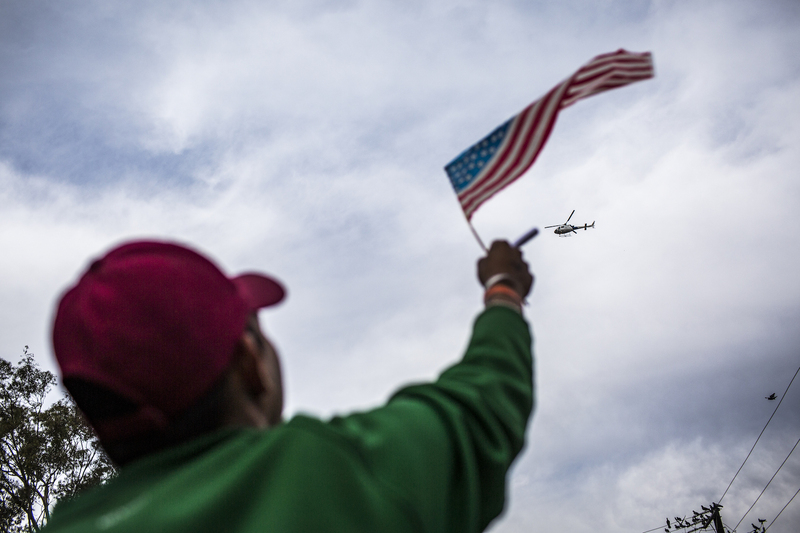 A migrant waves an American flag to a helicopter flying above the migrant shelter just along the U.S.-Mexico border in Tijuana, Mexico. (Jika Gonzalez/VICENews). This segment originally aired December 18, 2018, on VICE News Tonight on HBO.